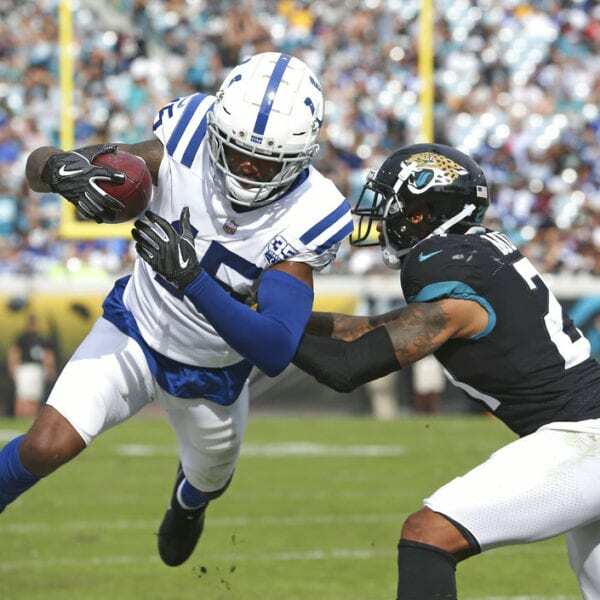 JACKSONVILLE, Fla. (AP) — Jalen Ramsey and the Jacksonville Jaguars delivered one of the most dominant defensive performances in franchise history, carrying the team to a 6-0 victory against Andrew Luck and the Indianapolis Colts on Sunday. The Jaguars (4-8) needed that kind of effort to make up for a lackluster offense and end a seven-game losing streak. They also snapped Indy’s five-game winning streak. Ramsey was the best of the bunch, helping hold T.Y. Hilton to six catches for 56 yards. Ramsey also made a game-ending tackle on Erik Swoope with 8 seconds remaining. Ramsey hit Swoope near the sideline at the end of a third-and-6 play at the Jacksonville 29, and the tight end seemed to land out of bounds. But an official ruled him in and kept the clock running. The Colts were out of timeouts and could only watch the clock wind down. Luck completed 33 of 52 passes for 248 yards and an interception. He was sacked three times after getting hit just five times in the entire month of November. He was sacked once in the previous five games. The Colts (6-6) entered with the fourth-most points in the league, having averaged more than 33 a game over their last eight. Luck had thrown three or more touchdown passes in eight consecutive games, one shy of the club record. Jacksonville shut them down and out. Indy passed up two field-goal tries in the first half, including taking one successful kick off the scoreboard, and had another solid chance in the fourth quarter. 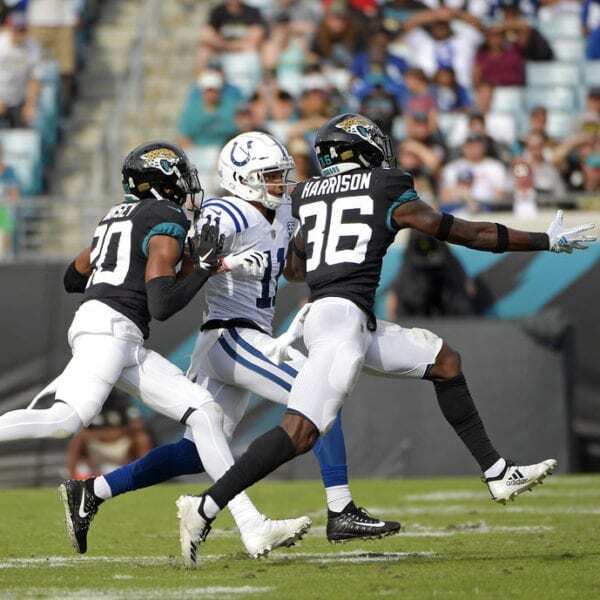 Facing fourth-and-1 at the Jacksonville 19 with 2:38 remaining, rookie safety Ronnie Harrison sacked Luck for a 10-yard loss. Harrison was making his first career start in place of benched veteran Barry Church. The odd decisions started in the first half. Adam Vinatieri made a 29-yard field goal in the second quarter, but Jaguars rookie defensive tackle Taven Bryan was flagged for roughing the snapper. That gave Indy a first-and-goal at the 5. Jordan Wilkins caught a short pass on fourth down, but was stopped short of the goal line. 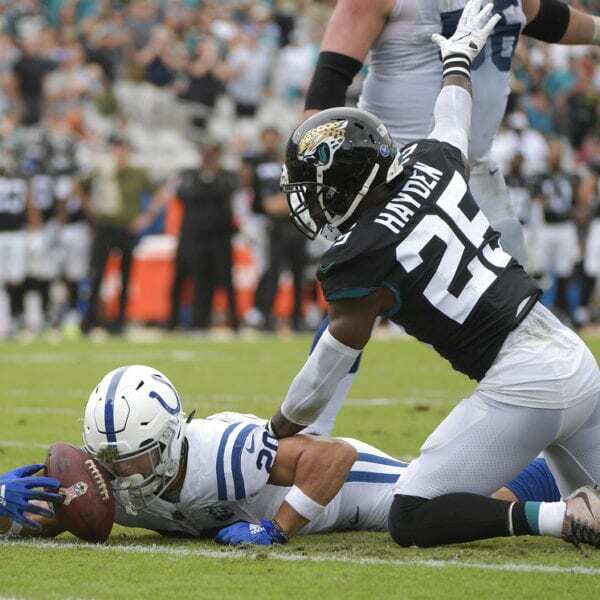 The Colts failed to convert another fourth-down play later in the quarter, and the Jaguars led 3-0 at the break. The teams combined for 476 yards of offense, but also had 13 punts, three turnovers and 139 yards in penalties. 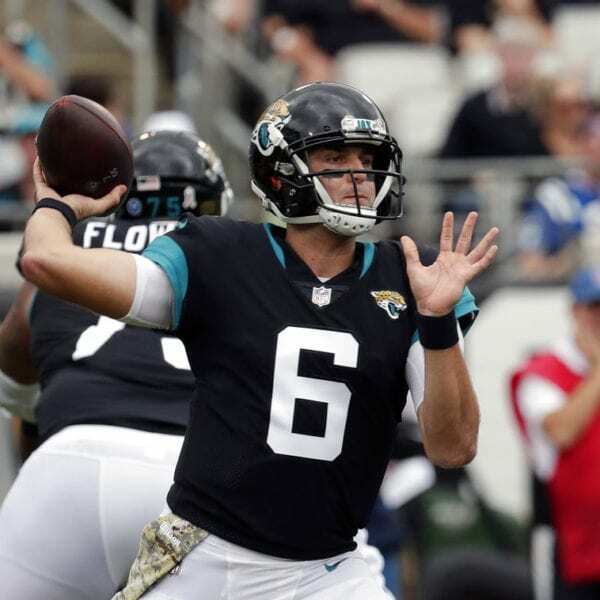 Cody Kessler, replacing the benched Blake Bortles, completed 18 of 24 passes for 150 yards for Jacksonville, winning for the first time in nine career starts. Colts: Center Evan Boehm left in the fourth quarter with a neck injury, forcing third-team center Josh Andrews into the game. The Colts were already without starter Ryan Kelly. Safety Mike Mitchell left with a calf injury in the second half and was later ruled out. Linebacker Skai Moore (knee) also left the game. Jaguars: Defensive tackle Abry Jones left with a bruised shin and was later ruled out. Right tackle Jermey Parnell left briefly with a foot injury but returned. Colts: Play at AFC South rival Houston next Sunday. Jaguars: Play at AFC South rival Tennessee on Thursday night. 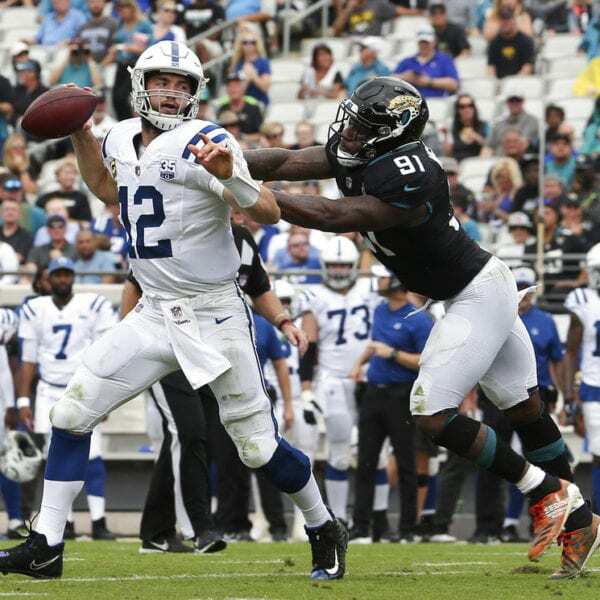 Be the first to comment on "Jaguars Show Up On Defense, Shut Down Luck, Colts 6-0"